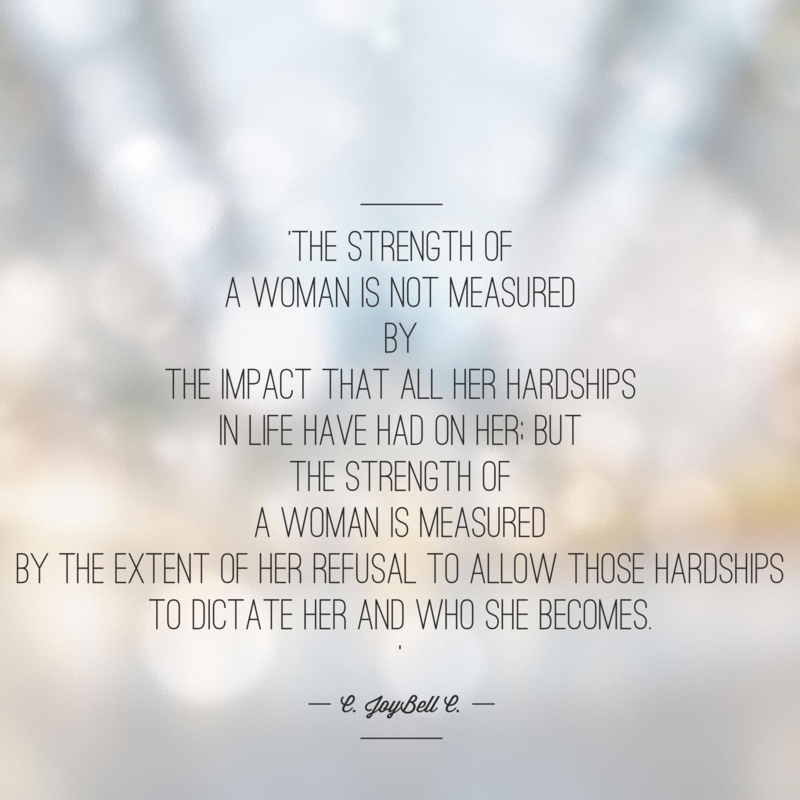 My understanding of this quote is this: that as women, we are more than the sum of all our hardships. They allow us to learn, they allow us to grow, but they must NEVER hold us back. It must NEVER dictate what we can and can’t do. It can only serve as a stepping stone to a wiser, happier and stronger place. We all have strength, and sometimes, that strength is tested more than we ever dreamed was possible- but if you fight hard enough, the ‘extent’ of that strength will pull you through and the extent of your own ‘refusal’ to allow hardships to beat you down, will surprise you greatly. How hardships shape us, is up to us. In the end, everything is a choice.